These are one of my favorite sides to make! They are great to side with a meat dish as they can go into the oven while the meat is resting before carving. 1) Preheat oven to 425 if not already heated. 2) Trim asparagus ends and arrange on a baking sheet. 3) Drizzle olive oil over stalks. 4) Sprinkle salt, pepper and parmesan cheese. Lightly shake pan to coat the stalks. 5) Bake in the oven for 10 minutes. This is perfect timing if you have some meat resting waiting to carve. Preheat oven to 425 if not already heated. 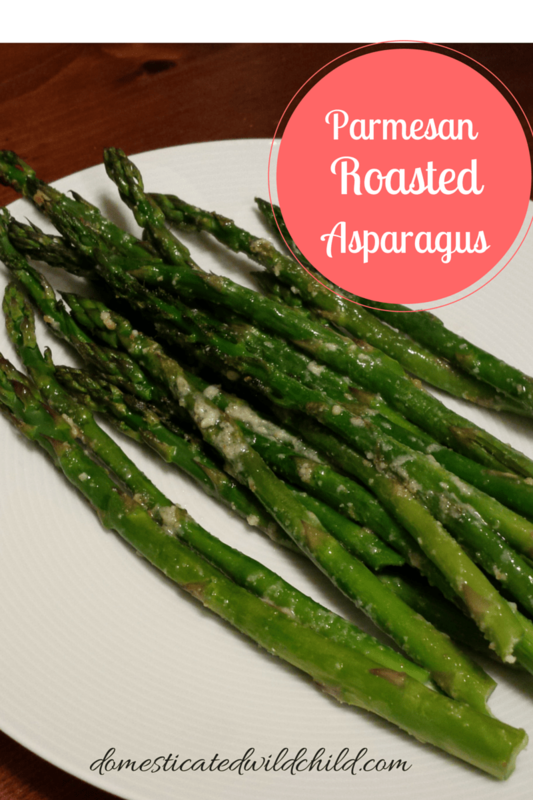 Trim asparagus ends and arrange on a baking sheet. Drizzle olive oil over stalks. Sprinkle salt, pepper and parmesan cheese. Lightly shake pan to coat the stalks. Bake in the oven for 10 minutes. This is perfect timing if you have some meat resting waiting to carve.